HBO’s hit scifi series Westworld continues Sunday Oct. 9 with “Chestnut,” an episode that will introduce a couple of guests — first-timer William (Jimmi Simpson) and repeat visitor Logan (Ben Barnes) — who arrive at Westworld with different expectations and agendas, and who will no doubt remind fans of the original hapless buddies from the 1973 film. Back in the lab this week, Bernard (Jeffrey Wright) and Quality Assurance head Theresa Cullen (Sidse Babett Knudsen) debate whether last week’s scary and confusing host anomaly is contagious. The debate prompts behavior engineer Elsie Hughes (Shannon Woodward) tweaks the emotions of Sweetwater brothel madam Maeve (Thandie Newton), in order to avoid a recall. Meanwhile, cocky programmer Lee Sizemore (Simon Quarterman) pitches his latest narrative to the team, but Dr. Ford (Anthony Hopkins) has other ideas, and in town, the Man in Black (Ed Harris) conscripts a condemned man, Lawrence (Clifton Collins, Jr.), to help him uncover Westworld’s deepest secrets. 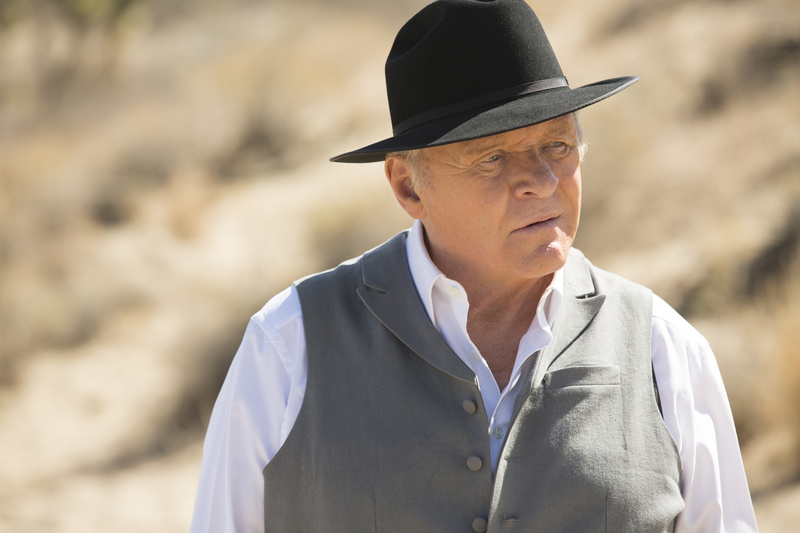 Westworld’s “Chestnut” airs Sunday Oct. 9 (9:00-10:00 p.m.) on HBO, but if you can’t wait that long we’ve got first look photos from the episode to share in our gallery below.